Pridgeon & Clay CEO Bob Clay describes the early days of the company as one managed by just a few key people at the top. When the industry transitioned (some 20 years ago) to higher levels of technology and to lean manufacturing, built on the concepts of team leadership and empowerment of frontline workers, Clay says that’s when management made a long-standing commitment to upgrade its workforce. Pridgeon & Clay is one of the largest independent, value-added manufacturers and suppliers of stamped and fineblanked components in the United States. The firm boasts a global workforce of more than 1000 skilled employees, which its managers quickly credit with providing its full-service approach to design, prototyping, product validation and manufacturing. Founded in 1948, the family-owned company operates more than 95 stamping presses throughout five worldwide manufacturing facilities. While primarily a Tier One and Tier Two automotive supplier, Pridgeon & Clay also manufactures parts and assemblies for the Class 8 heavy-truck market, and for customers in the agricultural, marine, motorcycle, alternative-energy and hardware industries. “Our overall philosophy,” says corporate director of human resources Julie Church Krafft, “is to pay the local average wage for each position within the company and combine that with an extraordinary benefits package and a one-of-a-kind commitment to training and continuous education for our incumbent workers. Our goal is to als be proactive rather than reactive in terms of employee development. This our employees are prepared for the natural progression in responsibilities necessary to stay competitive and grow. Within the last year we’ve posted more than 100 new job opportunities, and nearly 90 percent have been filled from within. “To attract and retain the best of the best,” continues Church Krafft, “we’ve developed a five-star benefit package.” Included is free, top-notch health insurance plans for employees; nearly free ($10/week) health insurance for qualifying dependents; an employee stock-ownership plan (ESOP) that gives employees a financial stake in the company (ESOP ownership is 30.9 percent); a 401k plan with a 15-percent no-limit match; educational reimbursement ($5,250/yr. ); and a wellness program, introduced in 2009. For the firm’s frontline workers, expansion of Pridgeon & Clay’s product-development group has provided new opportunities in the area of model making, where six employees manufacture prototypes to give life to the new ideas emanating from the group’s engineers. Five of the six model makers were promoted from within, taking advantage of the firm’s generous (100 percent) educational-reimbursement policy. As such, their wages have more than doubled, progressing from entry-level (utility) workers to varying levels of model makers. All of the firm’s model makers currently attend Grand Rapids Community College, working to obtain their associate’s degrees in manufacturing—on Pridgeon & Clay’s dime. “My father was a strong believer in education,” Clay stresses, adding a caveat: “Training in the early days of the company focused primarily on the floor leaders and not as much on the frontline workers. 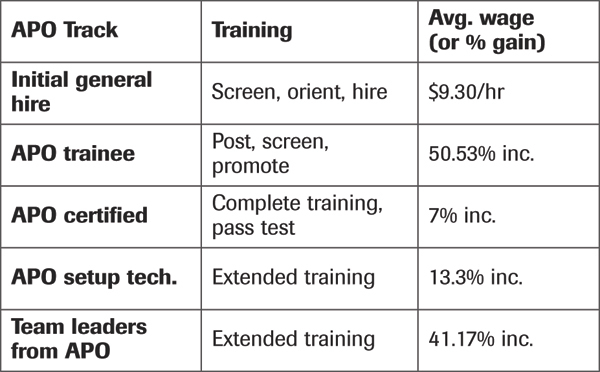 When my brother (Don) and I took ownership (in the early ’90s), we felt we had to move beyond that level of training and find s for all of our employees to improve themselves. “The company once was managed by a few people at the top,” Clay continues, noting its strong commitment to its employees in terms of wages and benefits. But he and his brother noted a real transition occurring in the automotive supply chain in the early days of their company ownership. This transition—to higher levels of technology and to lean manufacturing built on the concepts of team leadership and empowerment of frontline workers—fueled the company’s commitment to upgrade its workforce. “We found that we couldn’t become truly lean without educating our workforce,” Clay says. So, he and his brother initiated a program to fully reimburse workers who invested their own time and money toward higher education. (Editor’s Note: According to the Precision Metalforming Association’s Annual Wage and Benefit Report, only 37 percent of metalformers fully reimburse employees for tuition). During this same time period, in the mid-’90s, the company also fired up its research and development center and Advanced Engineering Laboratory, “another motivator to upgrade our workforce,” says Clay. Engineer Bryan VanTimmeren joined Pridgeon & Clay in December 2009 as an advanced press operator (APO) trainee, was promoted to APO just 3 months later, became a setup technician in April 2011, and was promoted to an engineering position in September 2011. Meet two of Pridgeon and Clay’s most recent graduates of its inhouse APO (automatic press operator) training program: Chris Jordan and Donna Carrothers. Jordan joined the company late in 2009 as a machine operator, became an APO trainee in March 2010 and a year later completed his training and became an APO. 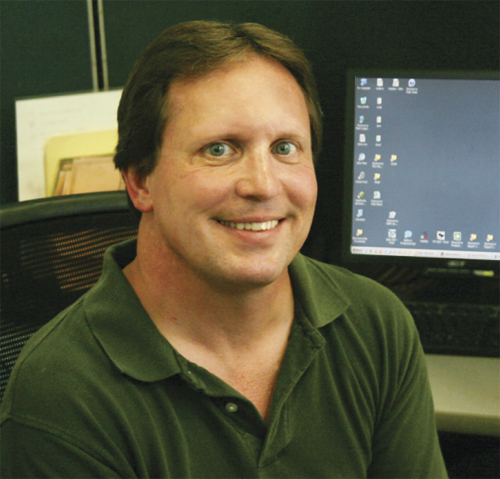 During his short stay, his wages have increased by nearly 40 percent.Carrothers joined the company in 1999 as a utility, stacking parts and helping the press operators. In 2001 she applied for and was awarded a machine-operator job and later became a lift-truck driver. In February 2007 she was awarded an APO trainee position and by the end of the year had become an APO. Carrothers has enjoyed a boost in wages of nearly 70 percent. Swiger is a stunning example of how the company recognizes leadership potential in its frontline workers and helps them realize that potential. He began his career at Pridgeon & Clay in mid-1992 as a utility apprentice in the company’s toolroom. 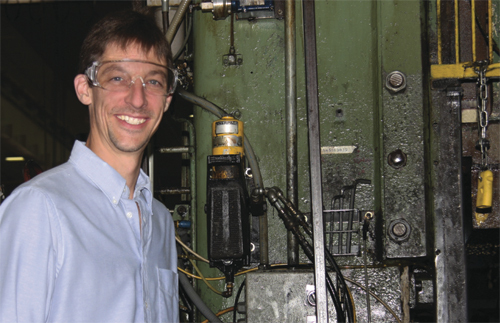 Following his apprenticeship, which included four years of part-time college classes, in 1998 Swiger became lead person in the toolroom. In 2003 he climbed to business unit manager. He attained a bachelor’s degree in 2009 and was named director of operations in 2010. Swiger says his primary responsibility as director of operations is to find and train his successor. He manages three business unit managers, as well as a logistics manager in the company’s warehouse and the plant manager of a sister plant in Indiana. “My role is to make them better,” he says, “and to be a teacher. If I have to make all of the important decisions for our plant, then we will fail. 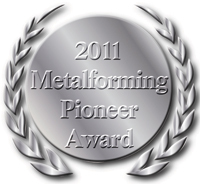 To supplement inhouse classroom training initiatives and a structured on-the-job training program—both of which have earned the company awards from its industry trade association, the Precision Metalforming Association—the company is a dues-paying member of the Source, a local not-for-profit employee-support organization. Classes offered by The Source include computer basics, English as a second language, financial literacy, financial management, introduction to home ownership and home maintenance. 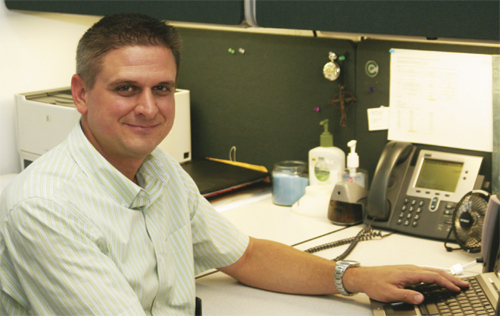 In the last 3 yr., 45 Pridgeon & Clay employees have attended courses at The Source. Of course, as frontline workers climb through those windows of opportunity, promotions and wage increases come along. According to corporate director of human resources Julie Church Krafft, 90 of the firm’s employees have received promotions within the last 3 yr., enjoying an average wage increase of 17 to 25 percent. Several Pridgeon & Clay employees boast exactly the traits cited by Church Krafft. 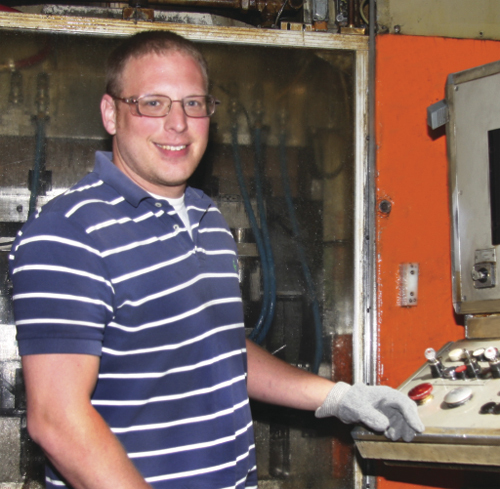 For example, consider setup technician Bryan VanTimmeren, hired at Pridgeon & Clay in December 2009 as an automatic press operator (APO) trainee, promoted to APO just 3 months later, to setup technician in April 2011 and to an engineering position in September 2011. In fact, of the firm’s 33 setup technicians, 28 were promoted from within via the job-posting process. Since his hiring, VanTimmeren has completed an associate’s degree in engineering from Ferris State University, paid for by Pridgeon & Clay. As technical trainer, Scott Visser’s goal is to train the company’s frontline workers before they’re needed, proactively rather than reactively, so that they’re prepared when jobs become open. “I’m looking forward to helping Pridgeon & Clay build its workforce for the future,” he says. Pridgeon & Clay’s open job process requires that notifications be sent to all employees any time an open position becomes available (that hasn’t been posted within the previous 6 months). Notifications are via e-mail, fliers posted on bulletin boards and electronic posting via the company’s intranet site, accessible to all employees via computers placed in public areas throughout the plant. 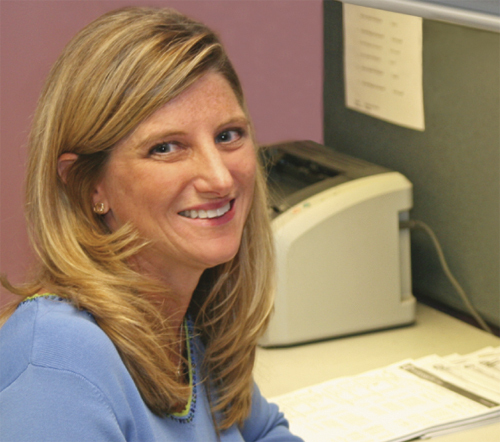 Open job postings stay active for internal employees for three business days. All employees are eligible to apply unless they fail to meet minimum requirements for the posted position; the employee has a current attendance warning on his work record; the employee has more than two current company-rule violations on his record; or the employee is already currently on an open job. Following interviews with candidates, once the position is filled the human resources department notifies all applicants of the decision, and also provides feedback to each applicant to help them prepare for the next opportunity. 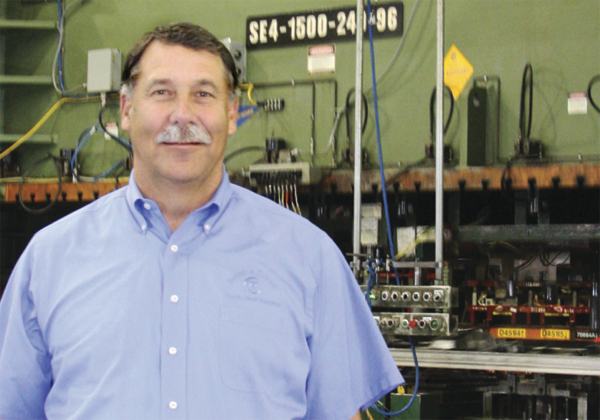 VanTimmeren’s path at Pridgeon & Clay began when he dove into the firm’s award-winning APO Certification Program, a standardized training program available to all existing and new automatic press operators at the company. The goal of creating the program was to develop a to formally train press operators, since the technology on the company’s presses had increased and its business had grown (in 2008) and was unable to keep up with hiring qualified APOs from outside, and part of its business strategy included standardizing the process used to run its presses and train its employees. It established a team of subject-matter experts and developed 21 courses, each course requiring trainees (and existing operators) to attend one class per week (1.5 to 3 hr. each). The course outline includes classes in setup and operation of straighteners and feeders, press safety, maintenance, quick die change and sensor technology. Each course includes a classroom test and an on-the-floor audit to demonstrate application of the classroom instruction. All APOs spend 33 hr. in the classroom and 50-plus hr. on the floor in one-on-one training with the firm’s technical trainer. To date, about half of the firm’s 100-plus APOs have completed the course. The APO training has proved to be a breeding ground for leadership on the plant floor. In addition to its business unit managers, Pridgeon & Clay has spread the responsibilities for maintaining its production facility to its 21 team leaders out on the shop floor. Of the 21, 15 were promoted from within. Building leadership from within provides Pridgeon & Clay with a deep pool of deep thinkers who, says company president Bob Clay, look to learn and create opportunities for the company to grow. “I encourage the creativity; the rest is up to them,” he says, and proceeds to describe some of the profitable decisions that have been made to help fuel the company’s growth. P&C continues to set the pace... Congrats to all for putting together a great model.